As an employer, Mental Health First Aid can help provide insight into common mental health issues that often disrupt the work place or someone’s ability to do their job. It will provide support for anyone who is interacting with someone who may be struggling with mental health issues. It will also help you to see the early signs and intervene as a support to increase productivity and work place morale. 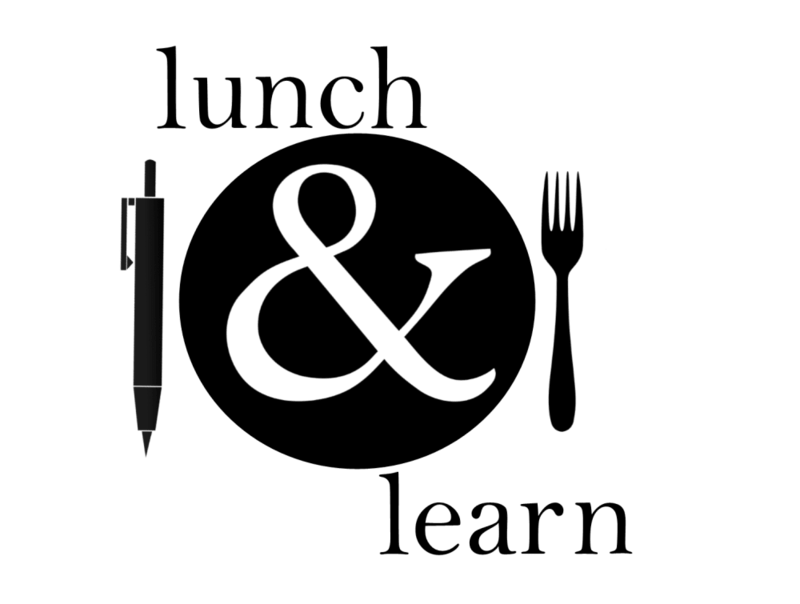 Lunch and Learns typically take place on the second Wednesdays of the month and run from 11:30 a.m. to 1:00 p.m. (unless otherwise noted). Location changes based on the speaker and the topic, and dates are subject to change, so be sure to check the calendar for details. 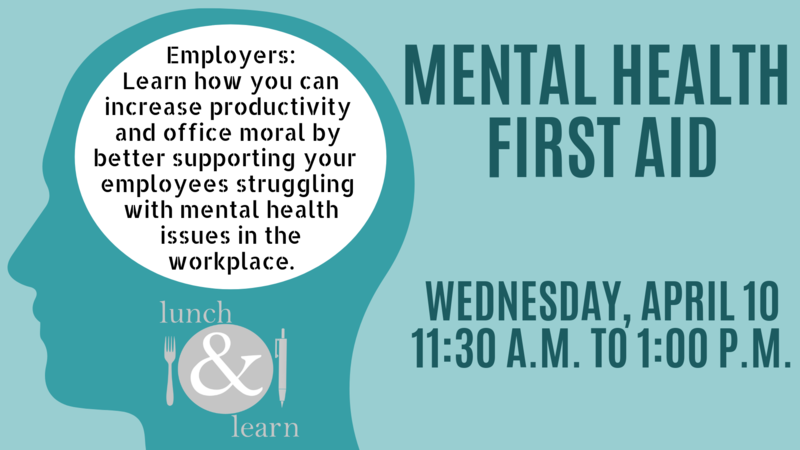 Have an idea for a lunch and learn? Many of these educational seminars are free to attend and are the Chamber's way to give back to our members! We do our best to choose relevant topics but welcome any feedback about a subject that you would like to learn more about! Just contact the Chamber with your idea and we will try to make it happen! Are you interested in sharing your knowledge about a subject? Contact the Chamber and let us know if you would be interested in donating your time to help educate our community! Here is our lineup for 2019! 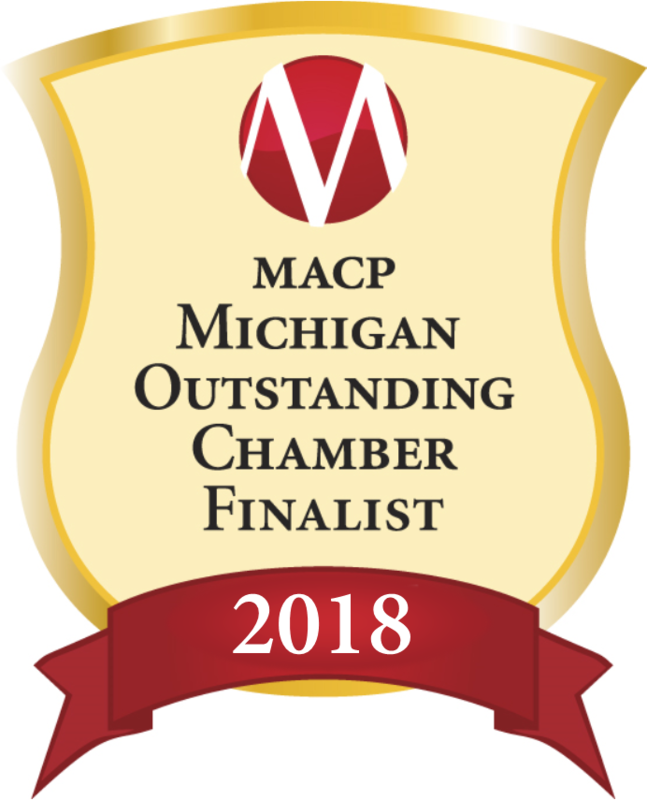 January 9: Making Those New Year’s Resolutions Work, 11:30 a.m. to 1:00 p.m.
February 13: Small Business Association of Michigan and Marijuana Policy, 11:30 a.m. to 1:00 p.m.
March 13: Cyber Security, 11:30 a.m. to 1:00 p.m.
April 10: Mental Health First Aid, 11:30 a.m. to 1:00 p.m.
May 8: Maximize Your Membership, 11:30 a.m. to 1:00 p.m.
June 12: TBD, 11:30 a.m. to 1:00 p.m.
July 10: Estate Planning, 11:30 a.m. to 1:00 p.m.
August 14: Workplace Safety and Active Shooter Preparedness, 11:30 a.m. to 1:00 p.m.
September 11: TBD, 11:30 a.m. to 1:00 p.m.
October 9: TBD, 11:30 a.m. to 1:00 p.m.
November 13: TBD, 11:30 a.m. to 1:00 p.m.
December 11: TBD, 11:30 a.m. to 1:00 p.m.